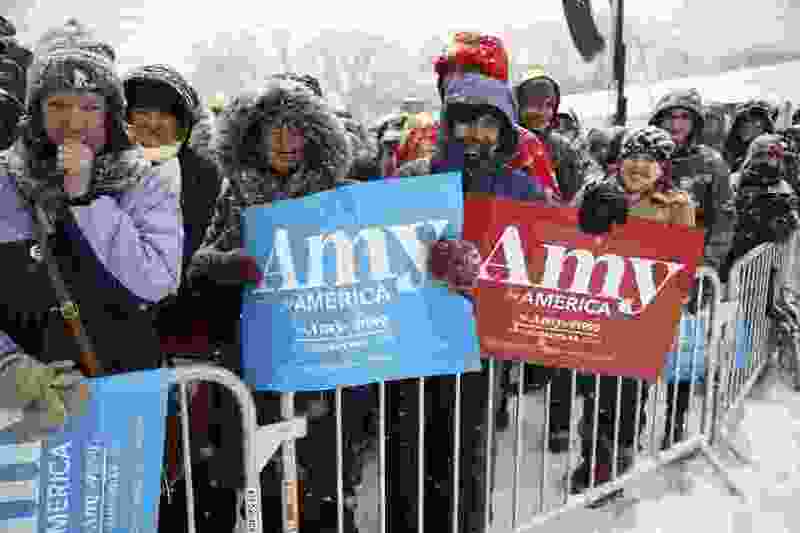 Sen. Amy Klobuchar's campaign kickoff Sunday was far from the dream start to her presidential candidacy, given the blustery weather that coated her with snow over the course of her speech. Still, the event makes the Minnesota Democrat President Donald Trump's worst nightmare. Forget all those recent allegations that she may have been mean to her staff. Unless there's something more, such as tolerating or hushing up sexual or racial harassment, all this shows is that Ms. "Minnesota Nice" might just have the touch of steel a real leader needs. After all, no one ever accused Margaret Thatcher of being Miss Congeniality. Focus instead on what she brings to the race: her record as a strong liberal without progressive zaniness; the example of keeping her head during the Kavanaugh hearings while all others were losing theirs; eight years as the chief prosecutor for Hennepin County, Minnesota; a stable, more than 25-year marriage; a daughter. Lawyer, mom, senator, president? Her political appeal is apparent. She breezed to her first statewide win in 2006 over Rep. Mark Kennedy, R-Minn. Kennedy had represented a seat in suburban Minneapolis, so he started with strong name recognition from running two competitive races in the state's dominant media market. 2006 was a Democratic year, but Klobuchar crushed him by a massive 20-point margin, losing only eight counties. She has not had a tough race since, winning last year by 24 percent. She could only do that by appealing to both swing groups in America's volatile electorate, blue-collar Trump Democrats and white-collar, anti-Trump Republicans. Democrats in Minnesota are known as the Democratic-Farmer-Labor Party because of their 1944 merger with the Farmer-Labor Party. Blue-collar Trumpers can see Klobuchar as a Democrat in that tradition rather than a fan of the identity politics that seems to be sweeping the national party. And white-collar former Republicans can see her as someone like themselves: educated, tolerant, ambitious, conscientious. Trump's margin was so thin that any significant defection among either group dooms him. Many anti-Trump Republicans nevertheless voted for him in 2016 because they thought Hillary Clinton was worse. The same was true for a good number of the blue-collar Trump Democrats. Klobuchar will be difficult to demonize because of her manner and her record. If the best nickname he can come up with, based on the recent revelations, is something like "Krabby Klobuchar," she can start measuring the Oval Office draperies. Many Republicans see this the same way. Senate Republicans, for example, think she's fair and thoughtful and would make a formidable challenger for the president. They also think, however, that those qualities could doom her within her own party. That could be, but Republicans tend to overestimate the willingness of Democrats to jump off the ideological cliff in pursuit of purity. Cook Political Report analyst Amy Walter recently addressed this topic and argues that Democrats are much less extreme or purist than given credit for. She notes a host of poll data that show that nearly a majority of Democrats say they are moderate and that even among liberals, many prefer less aggressive priorities than the party's hard left. Most important, solid majorities say they prefer a nominee who can beat Trump than one who shares all of their policy views. This silent majority within the Democratic Party is Klobuchar's potential voter pool. Klobuchar might also be helped by the new kids on the Democratic block — the suburban former Republicans who gave the party their House majority last November. The vast majority of states either do not have party registration or permit registered independents to vote in the primary of their choice. Trump used this to bring millions of people into the Republican primary process who had never before participated. If Klobuchar can excite former Republicans in these states, she can do something similar. Former Vice President Joe Biden presumably stands in her way, as his supposed appeal overlaps with hers. But I’m dubious he can pull it off. His current lead is based on national name recognition, and as 2003 poll leader Joe Lieberman can sadly attest, that’s not enough. Biden has never worn well in his two prior bids for the top job, and he is a 76-year-old man running to lead a party increasingly dominated by post-baby boom women. Klobuchar’s gender and relative youth — she’s 58 — will likely be pluses among the voters looking for a winning liberal. The path to the White House is long, winding and filled with perils, much like the Yellow Brick Road from “The Wizard of Oz.” But don’t be surprised if Klobuchar exceeds expectations, surmounts the challenges and ends up on top in the Emerald City. 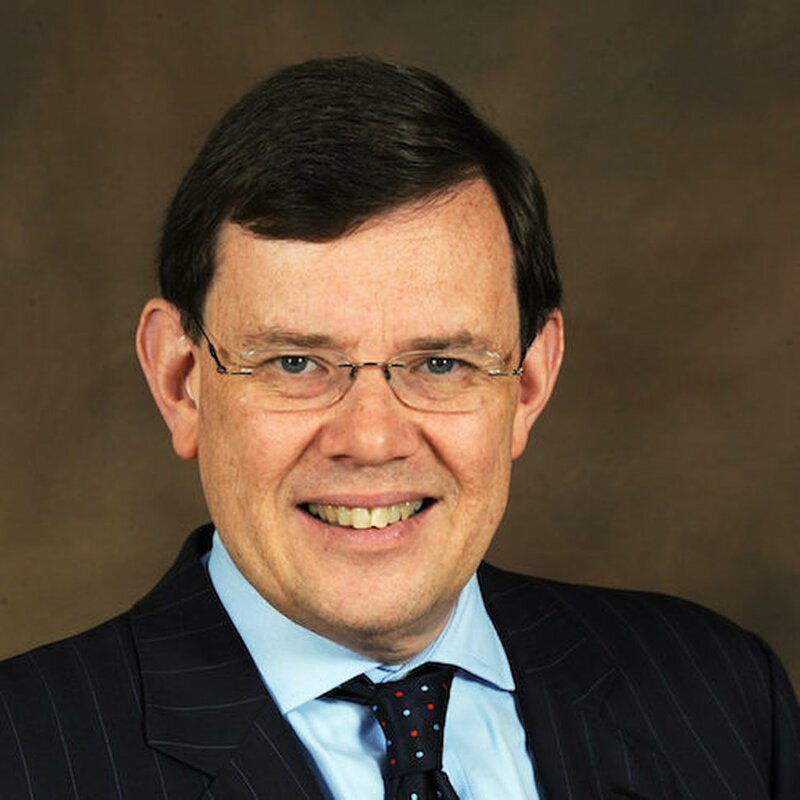 Henry Olsen is a Washington Post columnist and a senior fellow at the Ethics and Public Policy Center. Philip Bump: Giuliani says there’s nothing wrong with getting dirt from Russians. The law says there can be.